Kristy: I’m not gonna lie. This is entirely possible, and most likely true, that this is my most favourite quilt I have made to date. I can’t tell you if it’s the colours, the design, the prints, or even if it’s just one thing in particular… I think it’s the combination. So how did it all begin? Cue flashback waves to when I was designing some quilt labels for charity quilts on Spoonflower. Miraculously I wasn’t even shopping for fabric (a rare occurrence in itself), but Spoonflower just knew I needed this fabric in my life. 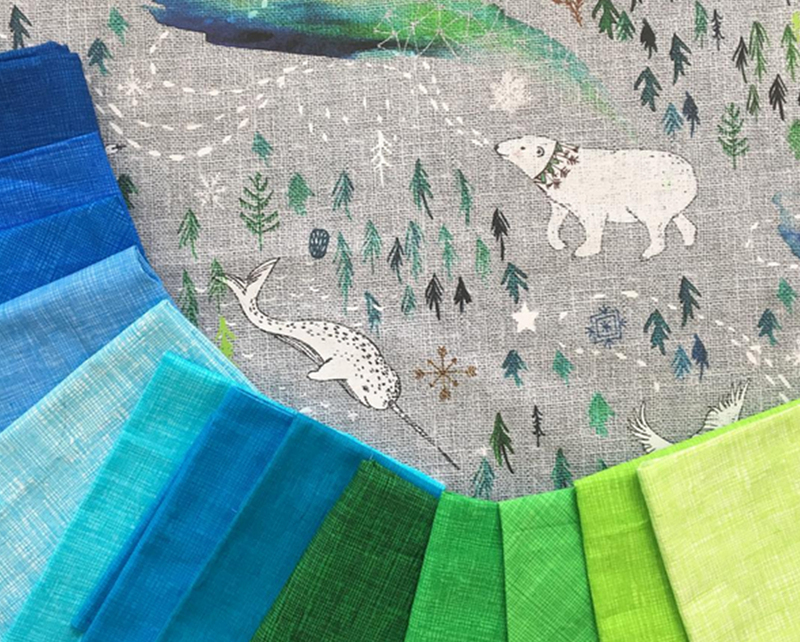 Nouveau Bohemian’s Arctic Song showed up as a featured fabric and I was smitten. Love at first sight. The fabric leapt into my cart and the process began. I went through a lot of different ideas and plans on how to use this fabric in a quilt. I often base designs around a theme from the fabric, and such was the case here. 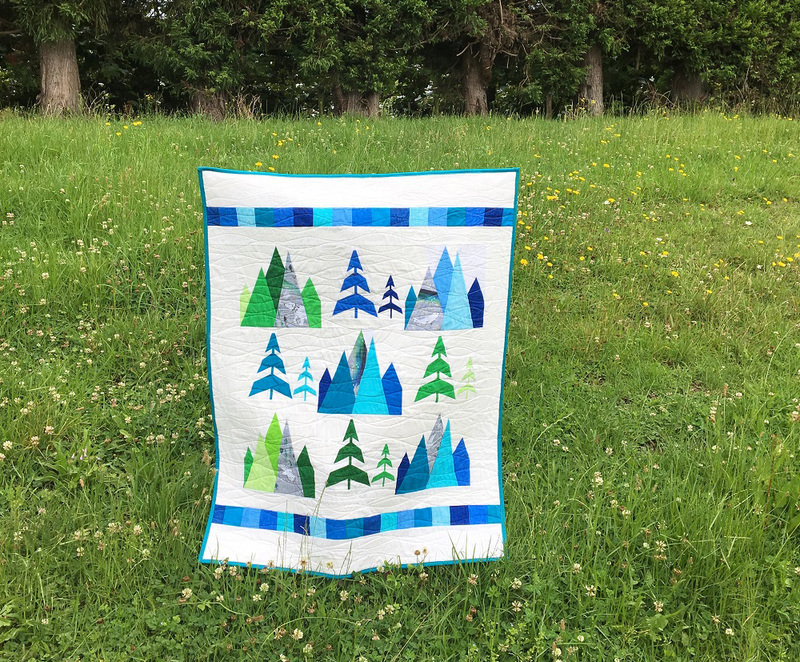 I loved the mountains and the trees in Arctic Song, but hadn’t found quite the right pattern for it. 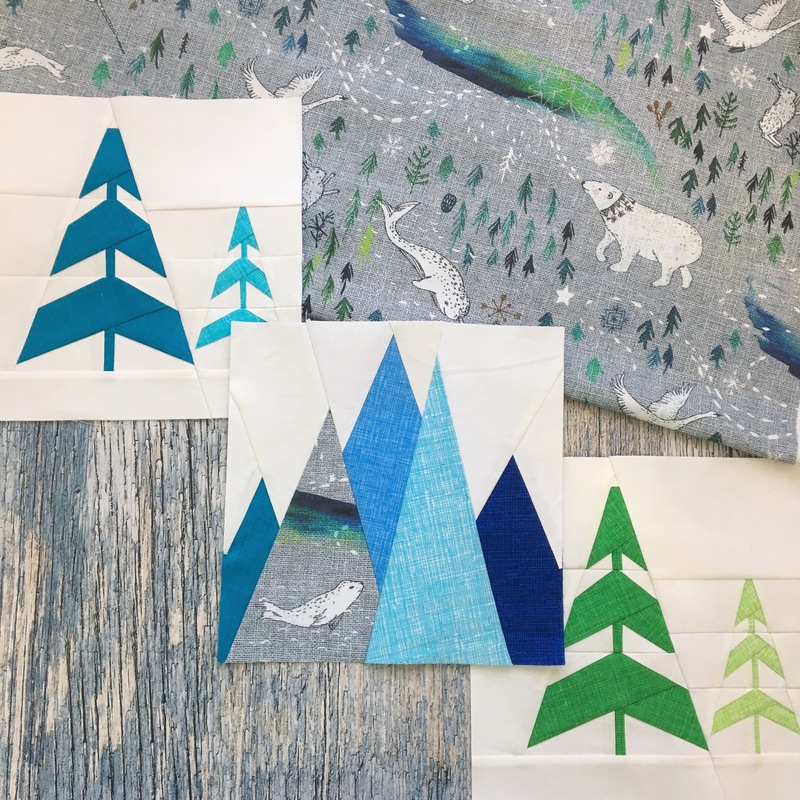 The trees drew me straight away and I wanted to replicate them in fabric. So I designed the pattern and got piecing straight away. Naturally trees weren’t enough, nor did they let me show off the gorgeous print. So I designed the mountain pattern to allow for fussy cutting (where you cut and piece a certain part of the print with deliberate intent). This really allowed me to highlight my favourite parts of the print (um, which is probably all of it!) and let the fabric speak for itself. I paired the Spoonflower print with a range of great blenders (Sketch by Timeless Treasures) in green and blue. It’s the perfect way to mix and match fabrics, and really let the hero print shine without distracting from it. Arctic Song paired with blenders creates the perfect palette. 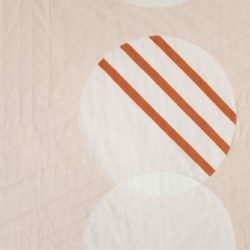 I love to design quilt patterns, and there’s a great satisfaction when something turns out just as you imagined. 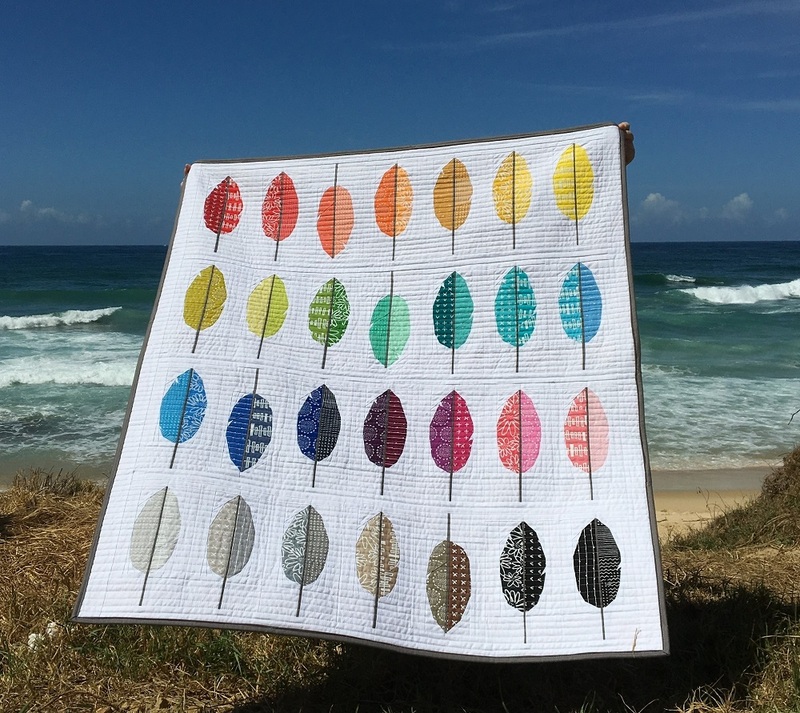 Kristy Lea’s quilt makes a trip to the beach! I loved working with nouveau_bohemian’s print, and paying homage to the little details in it. 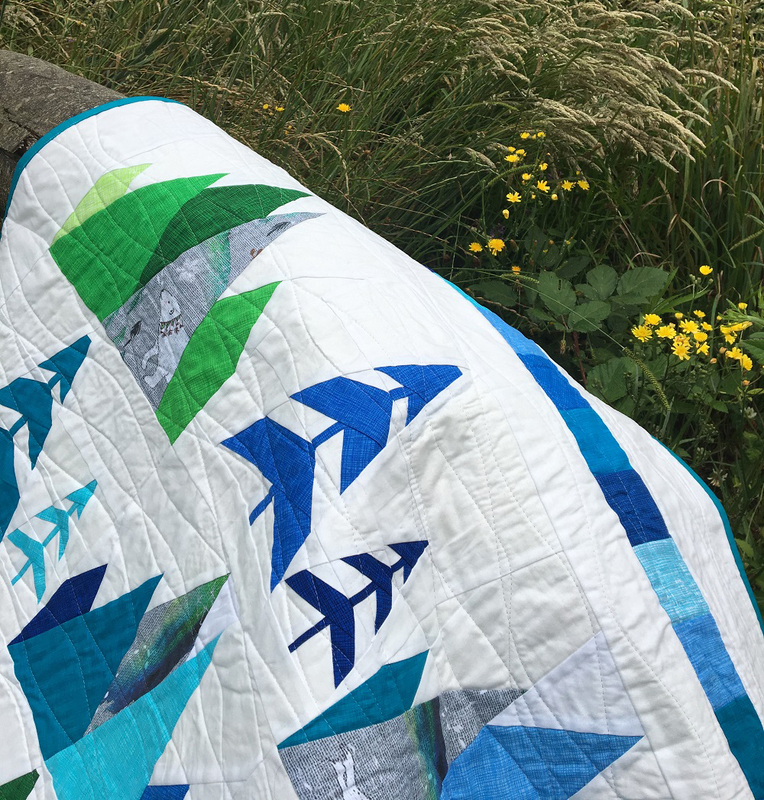 I have a feeling that it may not be too long before I find another of Esther’s prints on Spoonflower that sparks a new quilt design! 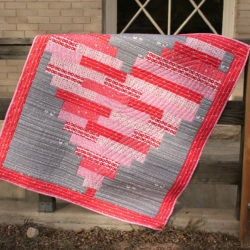 If you’ve been bitten by the quilting bug after reading Kristy’s interview, don’t miss our fool-proof quilted placemat tutorial! 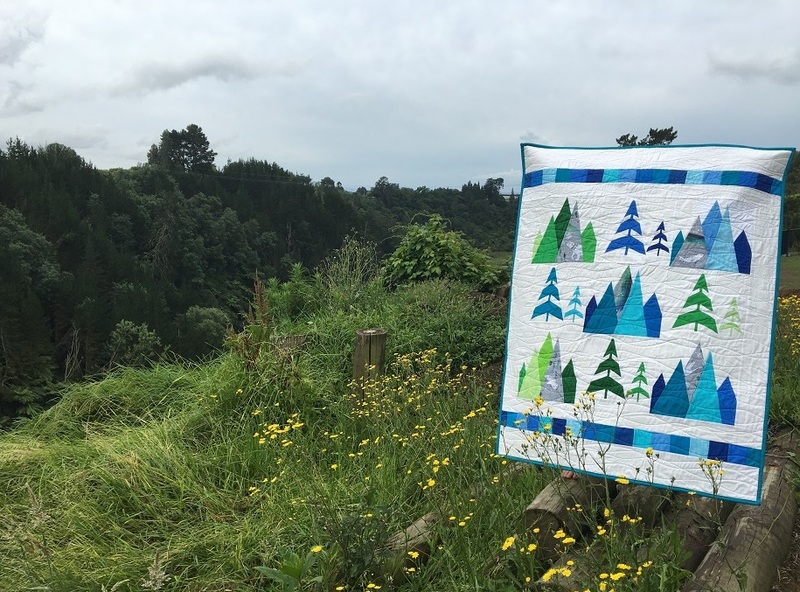 Kristy Lea took up quilting in 2010 and hasn’t looked back. 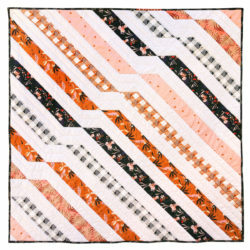 Foundation paper piecing has her heart, as is evidenced in almost every project she makes. 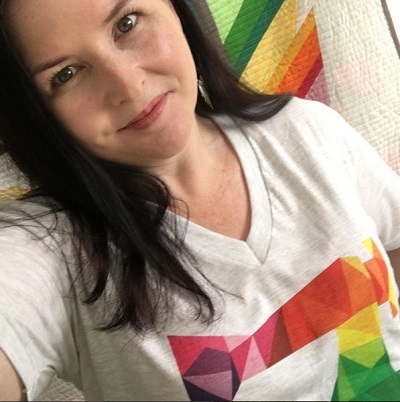 She dreams in rainbow, loves to play with fabric and is at her happiest when she’s creating. You can find more of Kristy’s patterns at quietplaydesigns.com or on Instagram @quietplay. We’re so glad you enjoyed Kristy’s post! The pattern is available in her Craftsy shop which we’ve linked in the post! 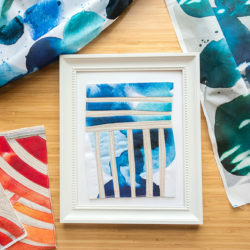 Are the “blenders” a Spoonflower fabric? Where are they available?